Dr. Henry Martin Tupper founded the church in 1866 as Second Baptist Church, providing religious services and classes for African Americans, including theological training for preachers, adult education, and eventually high school and grade school lessons. 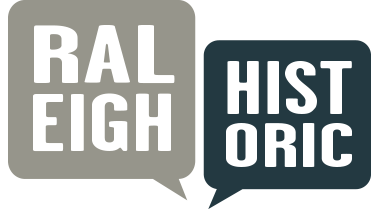 Eventually, classes outgrew the church and moved to the Raleigh Institute, later Shaw University. Dr. Tupper served the university as its first president. In 1912, a Gothic Revival frame church replaced the 1866 building; renovations in 1957 included the addition of brick veneer, new windows, and buttresses. The 1940 name change to Tupper Memorial honors its founder, who died in 1893. 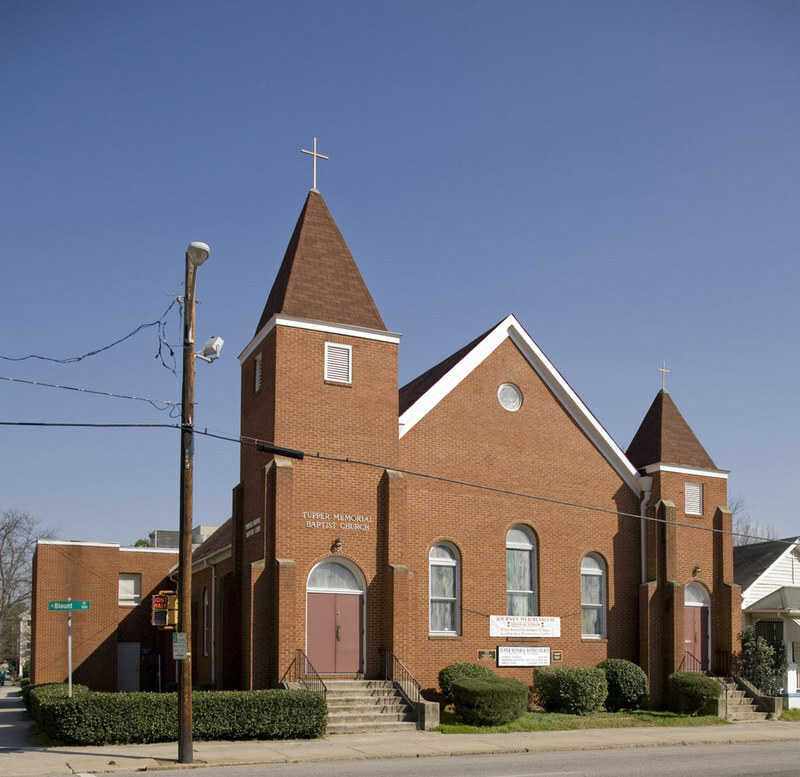 Tupper Memorial Baptist Church, 2009: Image by Michael Zirkle Photography, copyright Raleigh Historic Development Commission. 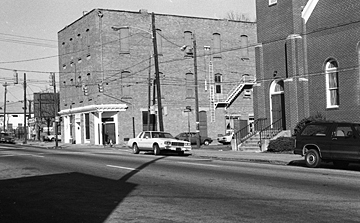 Prince Hall and Tupper Memorial Baptist Church, 1984: Image courtesy of the North Carolina State Archives. RHDC, “Tupper Memorial Baptist Church,” Raleigh Historic, accessed April 20, 2019, https://raleighhistoric.org/items/show/99.